The warm, sunny weather has brought people to the festival in record numbers. 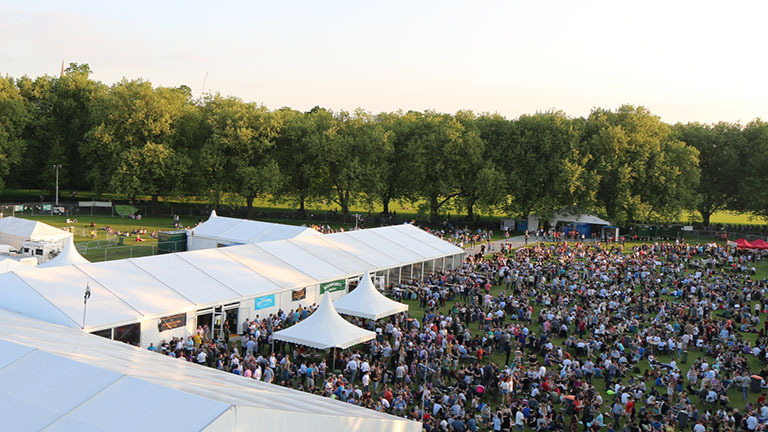 Nearly 8,000 of you came to the festival yesterday, getting through nearly 14,000 pints of beer. The weather looks set to continue – more beer has been arriving this morning to fill gaps on the bars.